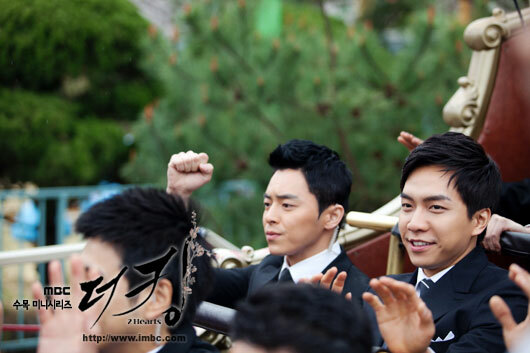 In episode 12 of MBC TV drama series “The King 2 Hearts” broadcasting on April 26th, 2012, Lee Seung Ji temporarily sets aside his noble posture to ride on the pirate ship in the amusement park. In the published stills, the bright smile of Lee Seung Gi is stark contrast to the heavy expression of breath-holding and attentive Jo Jung Suk, making the viewers cannot help but laughing. 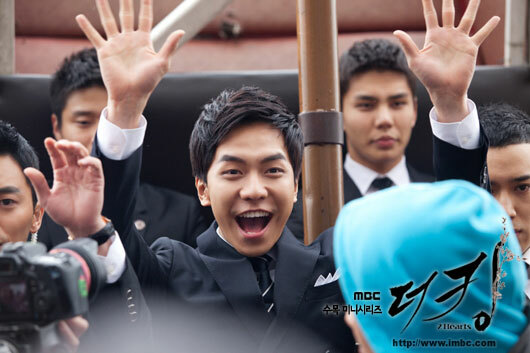 In the drama, Lee Seung Gi needs to hold onto the hand of Jo Jung Suk sitting besides him, and raises their hands and shouts, “Long live.” Lee Seung Gi also demonstrated his humorous instinct at any time to lead the shooting, making the set filled with laughter. It is reported that he often used his experience in hosting to perform impromptu, and often provoked staff crews to laughter. On the day of the shooting, hundreds of fans came to visit the set in order to see Lee Seung Gi, packing the surrounding of the main shooting venue – the pirate ship ride. Fans also shouted from time to time, “Lee Seung Gi is so handsome,” for once caused the sound recording couldn’t be done as per normal. 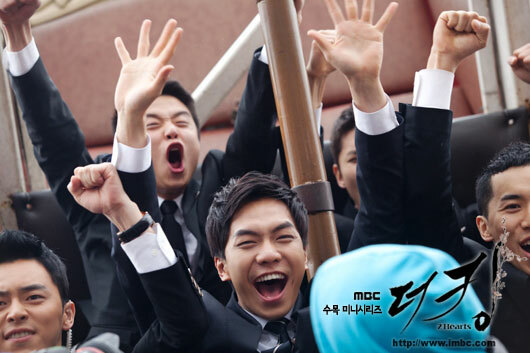 The number of fans slowly grew, making the crews exclaimed over the popularity of Lee Seung Gi. 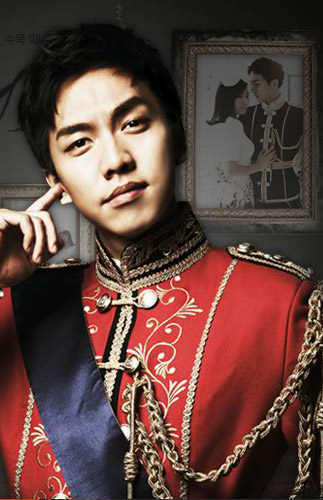 The filmmaker of "King 2 Hearts" said, "Lee Seung Gi sets an example regardless of what he's doing, making the entire set in a cordial atmosphere, and he will continue to display a sincere, straightforward, and other charms. Hope that audience can look forward to his performance." In addition, in episode 10 of "The King 2 Hearts", Lee Seung Gi is sadden after knowing from TV that Ha Ji Won miscarried after returning to North Korea. They break up after he was scolded by Ha Ji Won as 'rubbish,' while he scolded her 'North Korea evil woman' in return. The sudden miscarriage news shocked Lee Seung Gi, and how their relationship going to develop is drawing the curiosity of the viewers.